Are you an intermediate or advanced trainee looking to build muscle mass fast? If so, welcome to the program I simply call The Muscle Building Workout Routine. The Muscle Building Workout Routine is the completely FREE weight training program that I recommend most often to people looking to build any amount of muscle mass as fast as possible. Basically, if you’re past the beginner’s stage and your primary goal is building muscle or improving the way your body looks in virtually any capacity, this program is for you. The Muscle Building Workout Routine uses an upper/lower split, which is the split most often used and recommended by literally every single expert whose opinions I value (as opposed to the drugged up genetic freaks whose opinions are meaningless). The big reason the upper/lower split gets so much love is because it allows for each muscle group/body part to be trained to some degree between once every 3rd and 5th day depending on the specific split variation you choose (more on those in a second). And, as I’ve previously explained, this workout frequency of about-twice-per-week is what is scientifically proven to work best for building muscle for anyone past the beginner’s stage. In this 4 day version, each muscle group gets trained once every 3rd or 4th day, which is right within the ideal frequency range for building muscle mass at the optimal rate. While this specific template is probably the most common (people like having weekends off), the exact days you choose really doesn’t matter as long as the same 2 on/1 off/2 on/2 off format is kept intact. In this 3 day version, each muscle group gets trained once every 4th or 5th day. While it is just slightly less frequent than the 4 day version, it’s still perfectly within the ideal frequency range for building muscle mass at the optimal rate. And once again, while this template is usually the most common, the exact days you choose doesn’t matter at all as long as the same 1 on/1 off/1 on/1 off/1 on/2 off format is kept in tact. So, those are the two scheduling options for The Muscle Building Workout Routine. All you need to do is pick one. They will both work perfectly, so you honestly can’t go wrong with either version. Just pick the one the seems best for you, your preferences and your schedule. If you need help deciding, check out my more detailed breakdown of both versions here: upper/lower split. Download this entire routine – plus 2 additional versions of the upper/lower split – as a pretty PDF file that you can view on your computer, phone or tablet any time you want. It’s free. Just like most weight training programs built around the upper/lower split, The Muscle Building Workout Routine divides everything up into 2 different types of workouts. One will train your entire upper body to some degree (chest, back, shoulders, biceps, and triceps), and one will train your entire lower body to some degree (quads, hamstrings, calves, and abs as well). You will then do 2 (or about 2) of each workout per week depending on exactly which variation of the split you decide to use (again, either will be perfect). Now to answer any questions you may have, clear up any confusion that may be present, and explain how to make it all work as effectively as possible. The number of sets listed does NOT include warm up sets. Those are the actual work sets only. Warm up as needed. The order the exercises are listed in is the order they are supposed to be done in. Don’t change it. The split, frequency, exercise selection, prescribed amount of sets, reps and rest intervals for each exercise, the total amount of volume… it’s all for a reason and it is all meant to remain and be done EXACTLY as I have written it. DO NOT SCREW WITH IT LIKE AN IDIOT. The Upper Body A workout starts with the bench press. This is meant be a flat barbell bench press. I recommend having a spotter if possible. Besides being important for obvious safety reasons, not having one may make you afraid of trying for an additional rep, and this could hinder your progress. Up next is a row, which basically means some type of horizontal pull (meaning back row exercise). Pretty much any type of back row would be fine here, so pick your favorite. If I had to make a suggestion, I might go with a chest supported row of some sort because chest supported rowing doesn’t require any real lower back stabilization like a bent over barbell row would. And, since you will be deadlifting the next day, this may be a beneficial choice for some people. Otherwise, feel free pick any type of horizontal back row you want (chest supported row, any Hammer Strength machine row if your gym has them, a bent over barbell or dumbbell row, t-bar rows, whatever). As long as it’s a back row of some sort, it’s fine. If you think you’d benefit from not using any lower back the day before doing deadlifts, then stick with something chest supported to give your lower back a break. If not, pick anything. For incline pressing, I recommend incline dumbbell presses. Technically any type of incline press will do here. Barbell, dumbbell, machine (Hammer Strength makes an incline chest press that I love). But, my first choice recommendation would definitely be for the incline dumbbell press (in which case be sure to set the bench to a 30 degree incline or slightly less, not more). For lat pull downs, I recommend using an underhand grip (meaning your palms will face you) or a neutral grip (palms face each other… this grip is much less stressful on your elbows/wrists). This is because I’m going to recommend an overhand grip (palms face away from you) during the Upper Body B workout. You’ll see. Also, these are to be done in front of your head… never behind the neck. For laterals raises, you can really do whatever lateral raise you want. With dumbbells (seated or standing, one arm at a time or both together), with cables, with a lateral raise machine if your gym has a decent one. Just pick your favorite. For the triceps exercise, I recommend cable press downs using pretty much whatever type of handle you like best. I personally prefer the v-bar or rope. For the biceps exercise on this day, I recommend any type of dumbbell curl (standing, seated, on a preacher bench, whatever). Pick your favorite. The Lower Body A workout begins with the Romanian deadlift. I recommend using a double overhand grip as opposed to a mixed grip (which would be one hand over, one hand under). For the leg presses, you can do these the traditional way (both legs at the same time) or single leg if possible. Also, this is meant to be done in a 45 degree leg press. If your gym doesn’t have one, then use whatever leg press they do have. For the leg curls, some gyms have a few different types of leg curl machines… seated, standing, and laying. You can really pick any one you want. Next up is standing calf raises. If your gym doesn’t have a standing calf raise machine, feel free to do calf presses in the 45 degree leg press. For abs, do a few sets of whatever you want. Just don’t go too crazy… no more than 10 minutes or so. I’m a fan of basic stuff like weighted crunches, hanging leg raises, planks, etc.. Keep it simple. The Upper Body B workout starts with pull-ups. Use an overhand grip. If you are unable to do pull-ups, you can do lat pull-downs or some form of assisted pull-up in its place (still using an overhand grip). It’s fine. However, you should make it your eventual goal to be able to do pull-ups and actually work towards eventually doing them here. These are still to be done in front of your head… never behind the neck. Also, if you are someone who can already do 3 sets of 6-8 pull ups, then you need to add weight. Search around online for what’s called a “pull-up belt” (also called a “dip belt”) and buy one. It will allow you to add additional weight to body weight exercises like pull-ups and dips. It’s one of the only training products I fully recommend, and when your own body weight becomes too easy for you, it’s a requirement for progressive overload to take place. For the shoulder press, I recommended doing either seated barbell presses (in front of you, not behind the neck) or seated dumbbell presses, although any sort of overhead press will probably be fine. Up next are seated cable rows, which would ideally be done with a parallel/neutral grip (palms facing each other). If your gym doesn’t have a handle like that, any other grip is fine. If your gym doesn’t have a seated cable row altogether for some reason, feel free to do any other similar horizontal back row in its place. Up next is the flat dumbbell bench press. Nothing more to add here really. After that we have dumbbell flyes. These are meant to be done on a flat or low incline bench, but if you’d rather do some type of cable fly or use a pec deck machine instead, that’s perfectly fine too. For the biceps exercise, I recommend standing barbell curls with an EZ curl bar (it’s much less stressful on your wrists/elbows). You could technically do any other type of curl instead if wanted to, though. For the triceps exercise, I recommend skull crushers. I recommend doing these with an EZ curl bar (same reason, it’s much more comfortable on the wrists/elbows than a straight bar) or with dumbbells (palms facing each other). These can be done on a flat or decline bench. Either is just fine. And again, if preferred, any similar triceps isolation exercise would be perfectly suitable in its place. The Lower Body B workout starts with squats. That means barbell back squats, by the way. For the split squats, feel free to use a barbell or dumbbells. If you’ve never done any kind of split squat or lunge variation before, I’d recommend starting with dumbbells instead of a barbell. It will be easier (and safer) to learn how to balance yourself properly. For the leg curls, I’d recommend using a different type of leg curl machine than you used in the Lower Body A workout, assuming your gym actually has more than 1 type of leg curl machine. If your gym only has one kind, do it one leg at a time in the A workout, and both legs together in this workout. Or, if preferred, hyperextensions would be fine here as well. Up next is seated calf raises. Not much more to add here. As with any intelligent weight training program, the most important aspect of all is progression. The Muscle Building Workout Routine is no different. So, here’s how I recommend you progress. For each exercise, I have prescribed a number of sets to do. You may have noticed that I also prescribed a range of reps for each exercise (6-8, 8-10 or 10-12) rather than one exact number. What this means is, when you are capable of doing all of your prescribed sets for somewhere within that prescribed rep range, that’s when you increase the weight by the smallest possible increment the next time you do that exercise. If you are unable to reach the set and rep range with a given weight, then your goal is to simply get additional reps in each of your sets until you reach that prescribed set and rep goal. In this example, you have successfully reached the prescribed 3 sets of 6-8 reps with whatever weight you were using (100lbs in this example). Congrats. You were able to do between 6 and 8 reps in all of the 3 sets. In this example, you increased your bench press by 5lbs. This is good and means progressive overload has occurred. However, in this example you failed to get all 3 sets in the 6-8 rep range. In this example, you were able to successfully add an additional rep to all of your sets. Congrats, progressive overload has occurred once again. In this example, more progressive overload has occurred as you have gone up 5lbs on your bench press. However, you’ll notice that the second and third sets are below your prescribed 6-8 rep range. As you just learned, this is perfectly normal. It just means your goal next time is to try to get additional reps. So, let’s say next time comes around and you get reps of 7, 6, 5. Good job, more progressive overload has been made. Then, the next workout comes along and you get 8, 6, 5. Congrats again. And then the next workout comes along and you get 8, 7, 6 or 8, 7, 7 or 8, 6, 6, or 8, 8, 7 or 8, 8, 8 or anything similar. Perfect… all 3 sets are now within the prescribed 6-8 rep range. You’d then go to 115lbs the next time and repeat this whole process all over again. Basically, as long as your first set reaches the top end of the prescribed rep range (8 in this example) and the other sets are anywhere within the range, you should increase the weight being lifted by the smallest possible increment the next time you do that exercise. And, just in case it needs to be said, this is EXACTLY how you should progress with every exercise and every prescribed set and rep goal. Whether it’s 3 sets of 6-8, 3 sets of 8-10, 2 sets of 10-12 or whatever else. The process of progression should happen just like the above example, with the only difference being that you’d be going for a different set and rep range goal for different exercises. I will also mention that you will have workouts where you are unable to progress on certain exercises, but are able to progress on others. You’ll also have workouts where you may not be able to progress on anything in any way. In some cases this may go on for a while with certain exercises (especially isolation). Don’t worry about it. Don’t get pissed off. Don’t feel bad. Don’t think you had a useless workout. Don’t think you need to change anything. You don’t. This is normal. While The Muscle Building Workout Routine is designed to build muscle mass as fast as possible, it’s still a slow, gradual process. If we could all add 10lbs to every exercise every workout, we’d all be lifting thousands of pounds by now. It just doesn’t work like that. All you need to do is make it your goal to make some form of progression take place on every exercise as often as you can (while still using perfect form, of course). Whether it’s as little as 1 extra rep in 1 set or as much as 5 more pounds on every set, it’s all progression just the same. As long as you are doing this and are gradually progressing in some way over time, the progressive overload principle will be in effect and the results you want will follow. Download this entire workout program – including 2 brand new split/scheduling options – as a pretty PDF file that you can view on your computer, phone or tablet whenever you want. It’s 100% free. No matter how perfectly designed your weight training workout routine is (and The Muscle Building Workout Routine is pretty damn perfectly designed), and no matter how perfectly you execute it, this still only accounts for just half of the muscle building equation. The other half is your diet. You MUST eat right to support your goal of building muscle. If you don’t, this program (and every other program) will fail to work every single time. Since putting this workout routine out there back in 2010, I’ve gotten tons of feedback from literally thousands of people. Many just wanted to tell me (and show me) how well it has worked for them (which is awesome). Others, however, still had additional questions and wanted more details. Not just about this workout, but about building muscle in general. So… I had an idea. Basically, I wanted to create one complete program that would directly answer ALL of your questions, eliminate ALL of your confusion, and clearly put EVERYTHING together for you in the way that would produce the best muscle building results possible. That means your weight training program, your diet and nutrition, your supplementation, your cardio program, your lifestyle and every other meaningful factor there is. What is it? 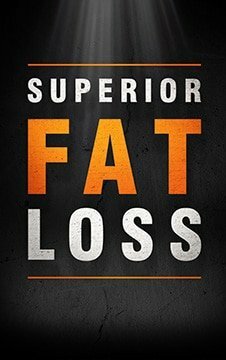 Simply put, Superior Muscle Growth is designed entirely for one specific purpose: to allow you to build lean muscle as quickly and effectively as your body is realistically capable of making it happen WITHOUT gaining excess body fat along the way. Just in case you still have any additional questions about The Muscle Building Workout Routine, here are some additional answers. What if it all just seems like it’s too much for me? Like I need to do a little less or something? What’s the best way to do that? You have 3 choices here. You can reduce frequency. This would definitely be my first choice. If you’re using the 4 day upper/lower split, just switch to the 3 day version. The slightly lowered frequency/extra day of rest between each workout should GREATLY improve any recovery related issues you may have. If you’re already using the 3 day version and it still seems like it’s too much for you, see below. You can reduce volume. Change all of the exercises that call for 3 sets of 8-10 to 2 sets of 10 instead. If it STILL feels like it’s too much for you, see below. You can remove accessory isolation exercises. For example, remove lateral raises and dumbbell flyes from the upper body workouts. You can do a combination of the 3 choices above.